There seems to be so much interest in the future of The Great British Bake Off that it is dominating the media at home and abroad. The latest news is that while Mary Berry may be quitting the show as a result of the programme being sold to Channel 4, she has no plans to retire, despite being a 'young' 81 year-old. In fact, she could star in a new rival show. 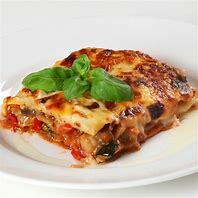 Mary has refused to be a judge in the 'moving' Bake Off, saying she remains loyal to the BBC, but this does not mean she will be hanging up her apron or putting away her tasting spoon! It is reported that her agent, Fiona Lindsay has said that reports that Mary will only work another year are untrue, she has lots of exciting new projects coming up, including TV work with Aunty Beeb. Well done, Mary, I say! 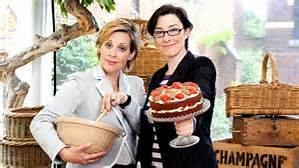 The BBC is said to be threatening to rush out a rival to Bake Off starring Mary and Mel Gledroyc and Sue Perkins, the original presenters (below). The Sunday Times is reporting that Channel 4 may not be able to screen The Great British Bake Off, featuring Paul Hollywood, until Summer 2018 if the corporation involves a 'hold-back' clause after their final episode. The BBC has said that despite their fall-out with Love Productions, over the loss of the show to Channel 4, it still intends to screen two Christmas Bake Off specials, which were filmed back in June. It has emerged that MPs will investigate the reported £75 million acquisition of Bake Off. In the meantime, rumours circulate about the possible make-up of the future Channel 4 Bake Off - Jamie Oliver has shown an interest in judging with Hollywood, while some press reports tip chef James Martin to join the show. 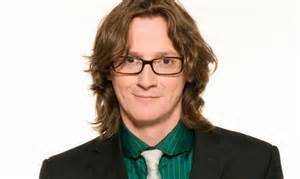 As for the presenters to replace Mel and Sue, I've heard tales of The Chuckle Brothers, or Jo Brand and Ed Byrne (below) being lined up. The latter pair already have a link to the BBC Bake Off show - Jo hosts BBC 2's Bake Off spin-off 'An Extra Slice', while Ed has deputised for Mel and Sue on past shows. So Jo and Ed could be the new pairing. Watch this space!